Motor neurons are located in the central nervous system and are used to control muscles. Motor neurons carry signals from the spinal cord to the muscles to produce movement. Several categories classify motor neurons. Somatic Motor Neurons - These originate in the central nervous system and project their axons to the target tissues, which are always skeletal muscles (involved in locomotion). Somatic motor neurons are involved in muscles that move limbs, abdominal or intercostal muscles. Specialized Viceral Motor Neurons - These motor neurons directly innervate branchial muscles, such as gills in fish, muscles in the face and neck in land vertebrates. General Visceral Motor Neurons - These neurons directly innervate cardiac muscles and smooth muscles of the arteries. 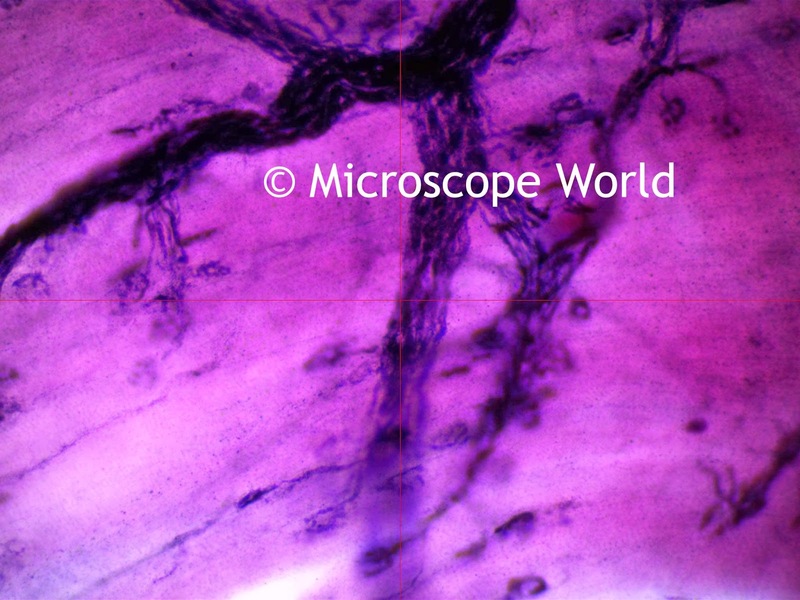 Motor Nerve captured at 40x magnification. The above image of a motor neuron was captured using the U2 Laboratory Microscope with a 40x APO Fluor objective lens.